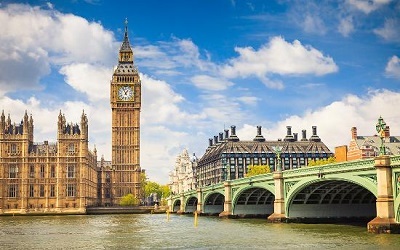 The two pictures compare a city in two different time. The city on the left picture was probably taken about more than 100 years ago, when the carriage and horse were still popular. 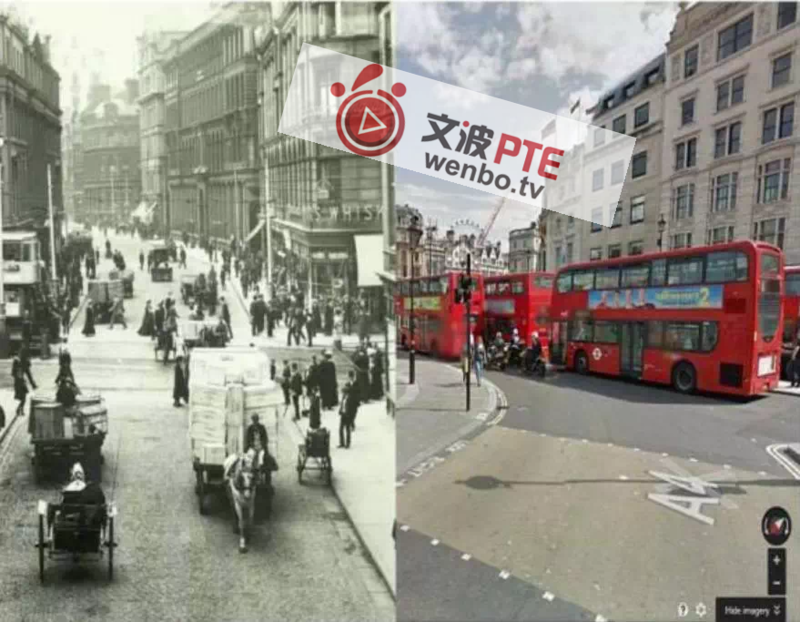 However, the right picture was probably taken in recent decades because we can find a double-decker bus and motorcycles in it. The left picture is black and white while the right picture is a color one. Of course, the two picture share some similarities. For example, there are tall buildings in both of them.